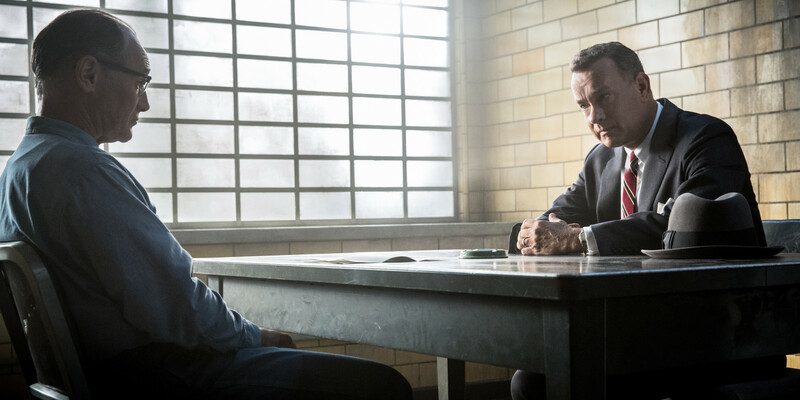 The Cold War sets the stage for Steven Spielberg’s 29th feature, Bridge of Spies, which had its world premiere Sunday night at the 53rd New York Film Festival. 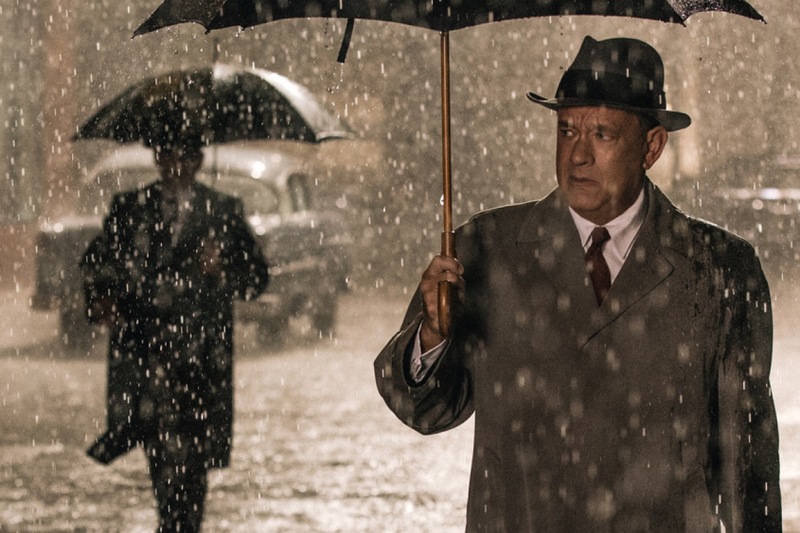 Based on a true story, Tom Hanks plays James Donovan, a Brooklyn insurance lawyer asked to defend Rudolf Abel (played eerily cool by Broadway veteran Mark Rylance), a Soviet spy in a trial that’s more for show than jurisprudence. Hesitantly taking on this role, the one-time criminal attorney Donovan is an Atticus Finch-like model for law as a guiding principle, despite the urgings from his colleagues—including the judge—to not put in full effort in his defense. Abel is a Soviet spy after all. His guilty verdict is a foregone conclusion, but it’s important that the US demonstrate a “fair” trial. Donovan will have none of it. He’s a good lawyer, and he will conduct himself as such, despite the threats set against him and his family.